The Paul Morgan Observatory (PMO) is designed to provide onsite and online viewings of the sun and night sky. The observatory will also serve to provide outreach to schools and other groups via the Internet and onsite tours. If skies are cloudy a short lecture with slides and videos will be presented. See announcements below. Lecture and viewing from 8 - 10 p.m. Come to see a lecture on Yuri Gagarin and other space explorers and if the night is clear, enjoy the nebula and star clusters of the late winter sky and more. Limited parking by the Tower Building. Space also limited inside the observatory. Seating is first come, first seated. Please bring a warm coat or blanket due to cold winter nights. April 28, 2019 - GAM SUN DAY Observe the Sun . Solar viewing from1:30 - 2:30 p.m. Come to the safely observatory our nearest star in living color. Space is limited inside the observatory. 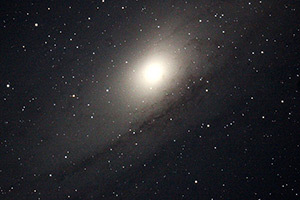 Come the observatory at 8:30 p.m. on May 10th to celebrate National Astronomy Day. 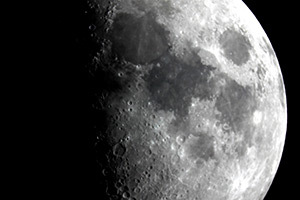 Local Astronomers will have telescope available for viewing from 8 p.m.PDT. Parking is available near the obsrvatory. Space in the observatory is limited. Pre-registration required. Attention Douglas County Teachers Grades 2-12! Pre-register for a 15 minute time slot for your class. Once you submit your pre-registration, you will be sent a confirmation email that will include more information about the walk. Don't delay, space is limited. Get your Solar System Passport and explore the scale model solar system and the Kepler 90 system. Learn more. Remote Solar Observing - Noon to 1 p.m. May 16th - New! May 18, 2019 - STEAM Extravaganza and Solar Walk on the UCC main campus. Explore and experience STEAM activities 10 a.m. to 2 p.m. Everyone welcome. Family friendly. No registration required. No cost to experience the Solar System Walk. Check-in at the main campus and get a ride to the Inner Solar System at the UCC Track. School visits to the observatory, either online or on site will now be available as weather permits. Please email the observatory to arrange a visit for either day (solar) or night time observing. Schools that want to visit online should email for arrangements and a special link for either daytime (solar) or night time (night sky) observing. The observatory is located near the Tower Building at UCC. Limited parking is available around the Tower Building. However, there is more parking down the hill from the observatory in front of the Technology Center. For more information, see map. The observatory is handicap accessible and is designed for wheelchair viewing of the TV monitors. Images are seen in real-time in color on large screen TV monitors allowing for group presentations. Simultaneously, the presentations with images can be broadcast online. Each summer, students can enroll in GS107 - Beginning Astronomy. This 4 credit transferable science class with lab is available online but encourages local students to come to the observatory several times during the 9 week term starting in July. 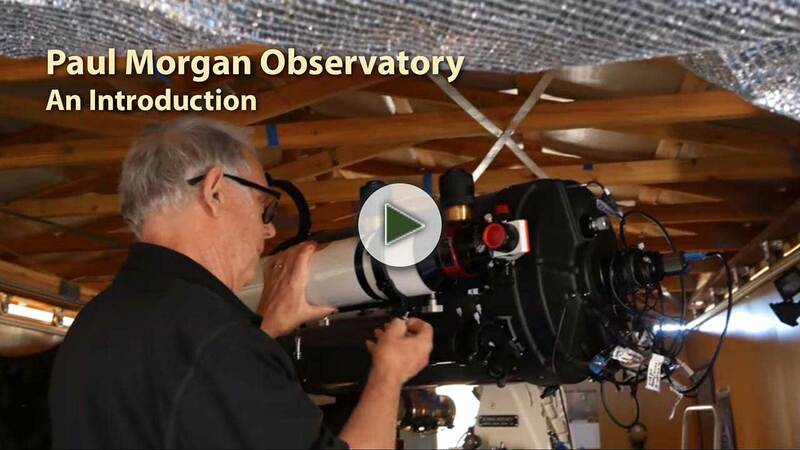 More distant students can access the observatory imaging sessions remotely via Zoom. This is a great class to take in order to fulfill a science elective for many programs of study! The 2019 Summer term starts July 1 and ends August 29. Be sure to check the summer class schedule in May/June. UCC supports STEAM education in the community. 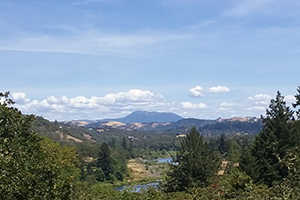 In addition to the observatory, UCC also supports the Umpqua Valley STEAM Hub. Together, we have promoted events like the Solar System Walk, STEAM Extravaganza, and many Observatory programs. UCC offers degree programs in Science, Technology, Engineering, Art, and Math (aka STEAM). You are invited to explore them, share them, and get started in these vital fields of study. In fact, please take a few moments to become familiar with these UCC programs. We hope that the activities at the Paul Morgan Observatory inspire you to "Reach for the Stars" by starting an educational journey in STEAM related areas of study at UCC. Ready?